The open OBC is such an awesome thing. I wish it wasn’t lost and forgotten about. what happen to the developers forum? Developer has clearly moved on to other things and the forum was hacked -- I knew this would happen eventually after I saw tons of comment spam and none of it was removed. I would be willing to run the numbers on a fully assembled reproduction of the design if I could find a source for new harness connectors. I recall a source and part numbers were mentioned somewhere in this thread some time ago but the search is worthless and I haven't found the information I need. If anyone can forward that to me here or PM, I'll look into it. Please do. Ive really been wanting to do this but im not a coder and it would be great if we could get a base platform or a working unit to start with. I know I could get a good bit of interest in buying more units. Definitely would be a good market for it. Thanks. There's a market, for sure. The question is how big it is. It turns out I specialize in prototyping and short runs so it might be a good fit, but I won't front the project. I'll need to do a kick or indy, or perhaps a simple pre-order. But before that happens I'll need to find a reliable source for those harness connectors. Again, if anyone can recall the page on which they were mentioned, let me know here or PM me. I think a group buy would do it. Quite a few people have wanted on since he stopped selling them. Again, if anyone can recall the page on which they were mentioned, let me know here or PM me. It's not complete though, it's missing the MC33660 because they're not available anymore and one other IC as well, I've forgotten which. Is that to do with the K-line drivers frying? Was that ever sorted out? Thanks for the links to the connectors. Good news is they are still available, though with a 3 month lead time. The MC33660 is just a kbus transceiver. A 2 minute search revealed at least two possible substitutions from reputable manufacturers. I spent some time reviewing the last few years of this thread and I can't seem to find any references to a kbus driver failure. If anyone has their eyes on the associated message(s), let me know. Thanks for the tip. I found Raddee's posts, and although they reveal some kind of issue when attempting to talk with the DME over the d-bus they are not otherwise helpful in a technical sense. Some further troubleshooting would be in order. I know a coder who did extensive testing. There is a design flaw in the chip that is needed to read out the DME. It keeps buring through. The OpenOBC designer was informed about tihs a long time ago, but he's never gotten any response. Which is a shame as communication with the DME would come in very handy. If memory serves there were two problems with DME support. First, you had to eliminate the bus terminators in the 20 pin connector and second, the bandwidth of the d-bus was extremely limited and/or the DME took forever and a day to respond to each query, limiting the usefulness of the connection. I suppose the good news is the bus transceiver is one of the parts that is no longer available, so it would need to be swapped out for a new part. Assuming the damage issue is indeed related to a bug in the transceiver silicon (highly unlikely, but certainly possible) that problem should go away with the redesign. Of course, if the real problem is noise / voltage spikes on the bus (wouldn't surprise me in an automotive environment) there are ways to address that at reasonable cost. The weird thing is that the MC33660 is designed to be resilient against spikes, noise etc and was built to automotive specs. The only mistake I found at the time was that the supply voltage to the chip was too low on the OBC side (3.3V instead of 5V). We theorized that this may cause things like overcurrent protection to not work properly and cause the chip to fry. Of course if you swap the part out completely it's not a problem anymore. I don't see a problem with supplying the MC33660 Vdd with 3.3V. Valid range per the datasheet is -0.3 to 7V. Vbb is also quite tolerant of overvoltage by design. So I don't see an immediate issue with the device power supplies (though in full disclosure I have not done a full audit of the design). Last edited by dwvcfii; 08-26-2018 at 09:45 AM. 1) Simply re-spin the existing board and replace the obsolete components. The would only be sold as a fully assembled product that the user installs in their existing OBC at their own risk. This would ship with a tweaked version of the original developer's firmware with identical functionality. The software would be maintained by the community. Obviously this is the least cost option. 2) Provide a complete replacement for the OBC involving a new case and a high resolution, color, sunlight readable display with capacitive touchscreen. This would eliminate any dependency on the original units and open the door to lots of innovative control and display options that a single line text display simply can't provide. The downside to this would be cost. The display alone will cost more than all of the other components combined. Something tells me the market is just too small to make this worth my time but I'll leave that up to you. If you're interested in either option, let's talk. Im interested. I think if you made a complete ready to go unit this would work if you put it to the right markets. At least make the assembled circuit boards. No. Theres way more.FB unfortunately has taken over BF but yes there is way more than this thread for a market. Last edited by EstorilB; 10-11-2018 at 07:58 PM. When he said “market” that’s what he meant. Not bf.c. He meant the e36 market in general. There isn’t much demand for a product like this. I highly doubt that. I believe if the price is right in my area alone I could sell the hell out of this. How much exposure has this even had? Just being realistic. E36 owners are cheap these days. The ones that aren’t cheap, want original parts. 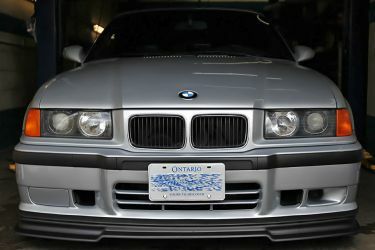 Practically speaking, the E36 market is strong given its size (i.e. this remains a popular enthusiast vehicle) but it is by definition a declining market. Within that market, the set of people who own an E36 AND have the ability to solder or otherwise disassemble their OBC is exceedingly small. The set of people who own an E36 AND would spend a few hundred bucks on a flat panel replacement for the OBC to get lots of cool information delivered via a modern touch interface and a bluetooth interface that talks to a phone app is probably an order of magnitude larger (at least). Which explains why I suggested option 2. It would cost more but more people would buy it by virtue of the larger market. I suppose I could do both options, using option #1 to springboard option #2 but I'd have to pick a display and effectively build option #2 first to ensure I could use the same PCB for both options. I might be willing to front the prototype costs but there is no way I'll be on the hook for a production run as I said earlier. This would have to be via a group buy or Indie/Kick.